Exhibition preview in Manchester Evening News. 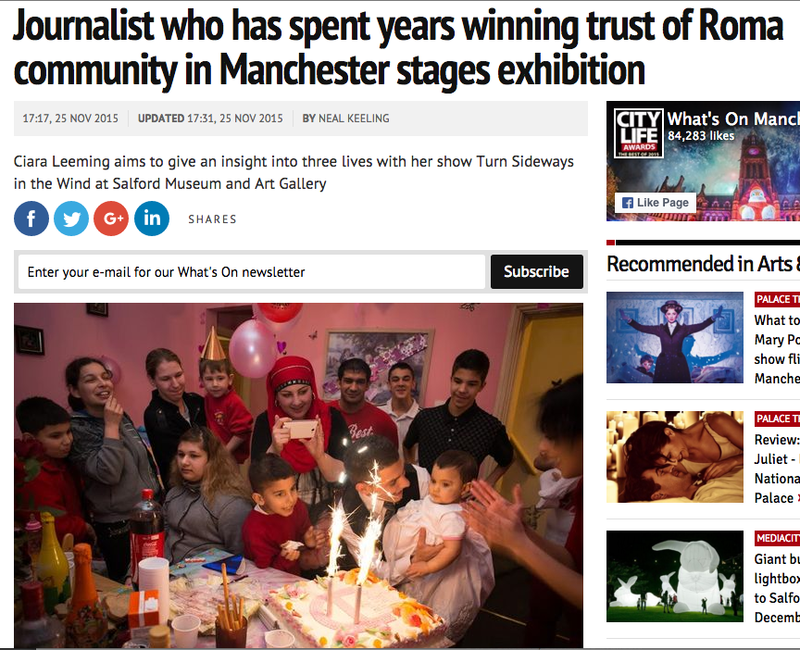 Exciting news – I have been awarded Arts Council support towards an exhibition of some of my Greater Manchester Roma work, which will take place at Salford Art Gallery from December to February. The same body funded the shooting of this project so it’s brilliant news that they are also happy to support the show. More on this in due course..
I’ve neglected my site massively the past nine months – but there’s a good reason for it. 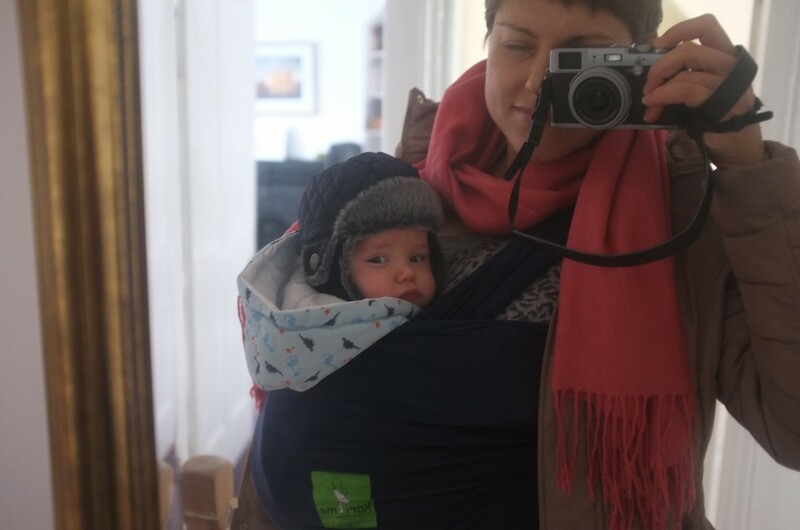 I’ve been on maternity leave and enjoying some time out, getting to know my son Lukas. Plus the small matter of buying and moving into a new house. 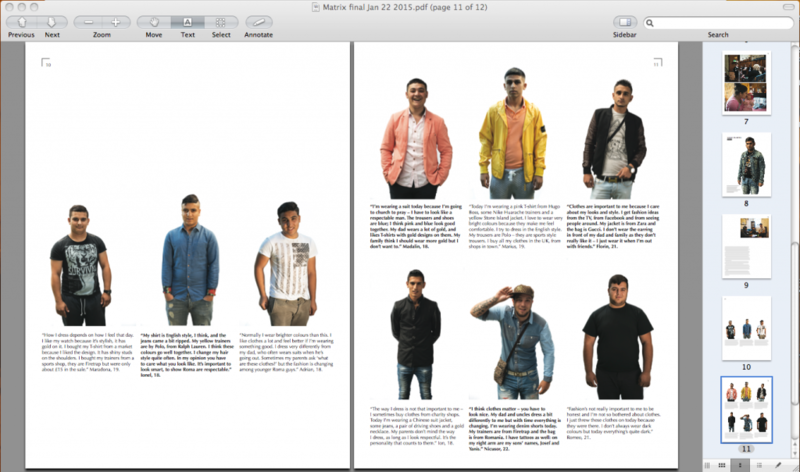 I used some of my return to work days to continue writing a few bits and pieces for The Big Issue in the North, and to design a newspaper to display some work produced for the Roma Matrix project that I was involved in last year. I’m told that went down a storm at some European Commission events. I am now working again so please get in touch if I can help you. 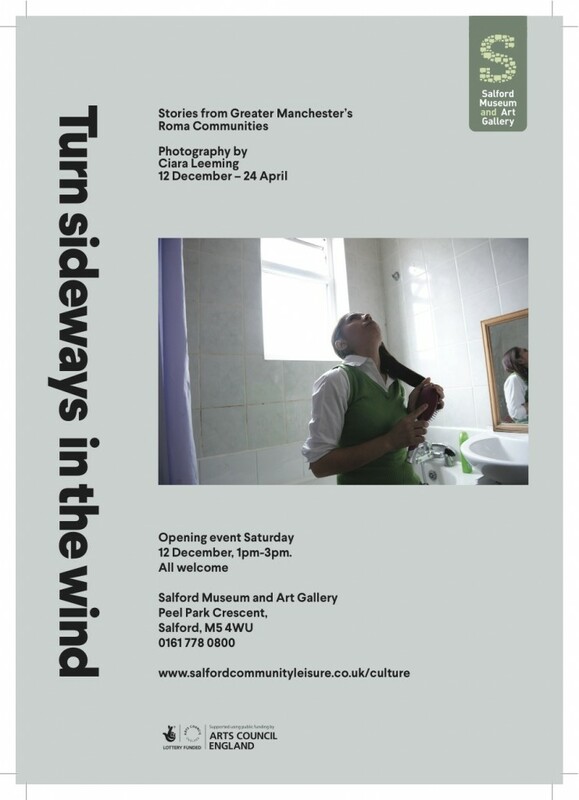 As well as taking writing and photography commissions, I will be doing some lecturing from September and will have a small exhibition of my Greater Manchester Roma work at Salford Art Gallery from December. 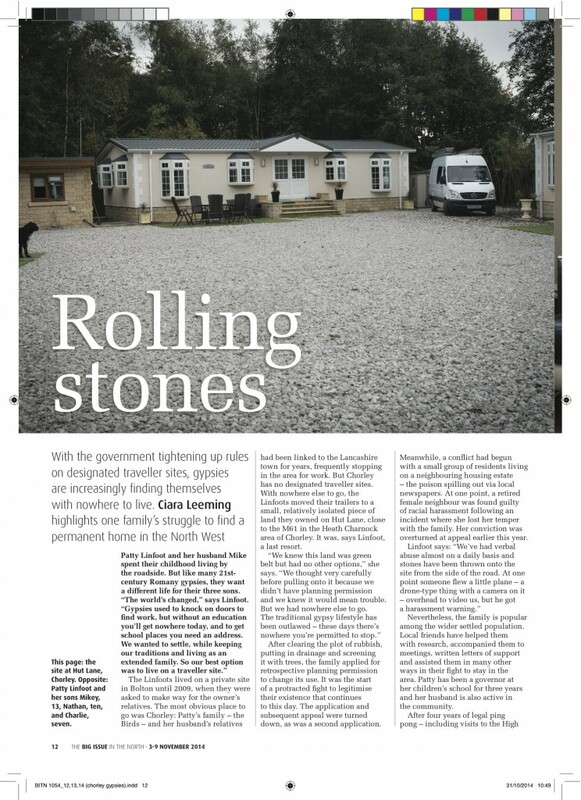 I’ve got a piece in this week’s Big Issue in the North highlighting the case of the Linfoots, a Romani Gypsy family from Chorley, who have spent the past four years fighting to stay on a piece of (greenbelt) land that they own. To read, click on the image above. I don’t often get really excited about stories these days but when I was asked this summer to attend the Light and Life Gypsy church convention I definitely did. 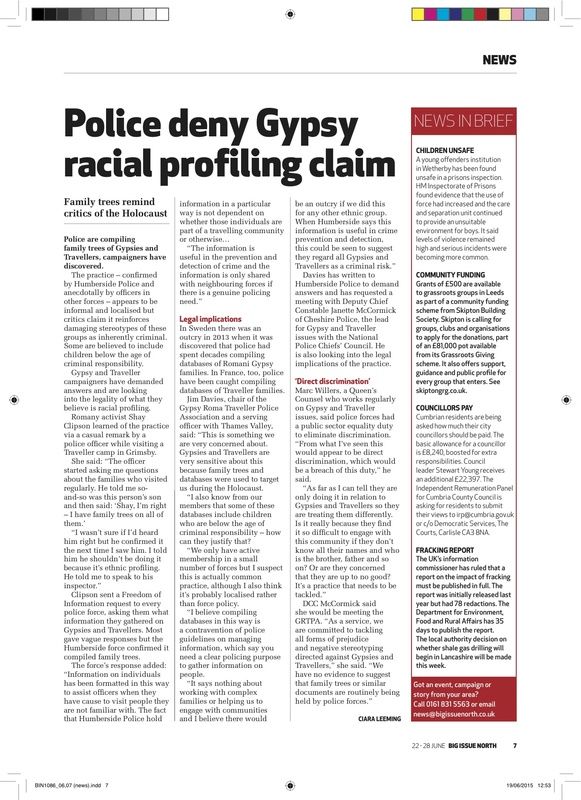 The rise of Evangelical Christianity among both English Gypsies and migrant Roma communities has not escaped my notice – I even attended a Romanian Romani Pentecostal church service near my home when I was first trying to make contacts within this community in 2009/10. To be handed access to this event as a photographer made this a dream commission for me. I was also excited to be working with the writer Katharine Quarmby, who published a cracking book on the eviction of Dale Farm last year, and to be asked to work for Newsweek was also fantastic. Thanks to Katharine for putting in a special request that I do the photos. Please click through to read her fascinating article and to see my photo gallery or download the PDF here. 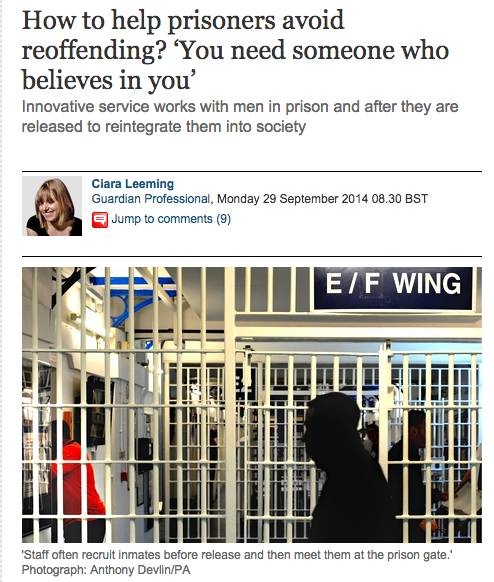 A piece about the excellent work of the Salford Prison Project from the Guardian earlier this week. 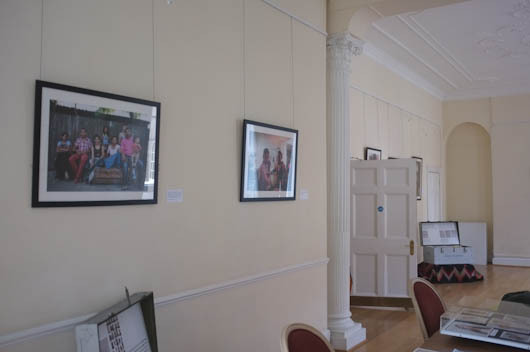 Some good news regarding the London Roma exhibition some of my work appeared in recently. 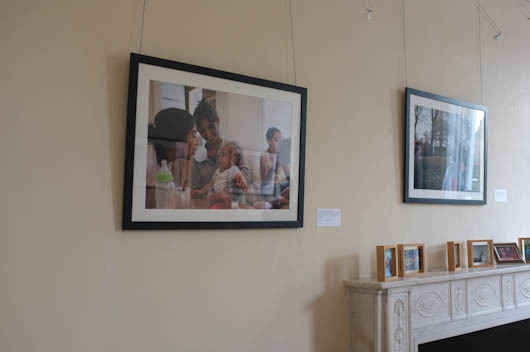 The Roma – from Extra to Ordinary was picked up by the United Nations in Geneva and parts of it (including the photographs of Artur Conka and myself) will be on show during the 27th Human Rights Council meeting next month. I’ve also recently been selected to show some of my Roma work in a small solo exhibition in Greater Manchester late in 2015, which is exciting since so much of the project was shot in and around Manchester and Salford. More info on this in due course. 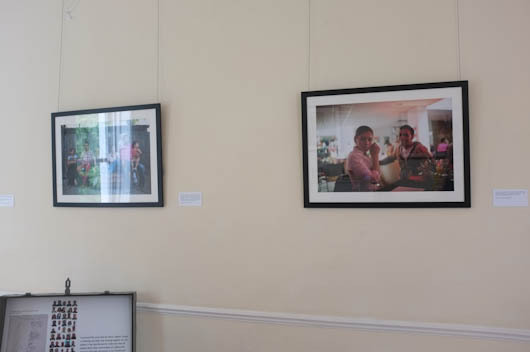 I took a short trip to London this week to check out an exhibition which is displaying a few of my Roma images – From Extra to Ordinary, at the Romanian Cultural Centre. 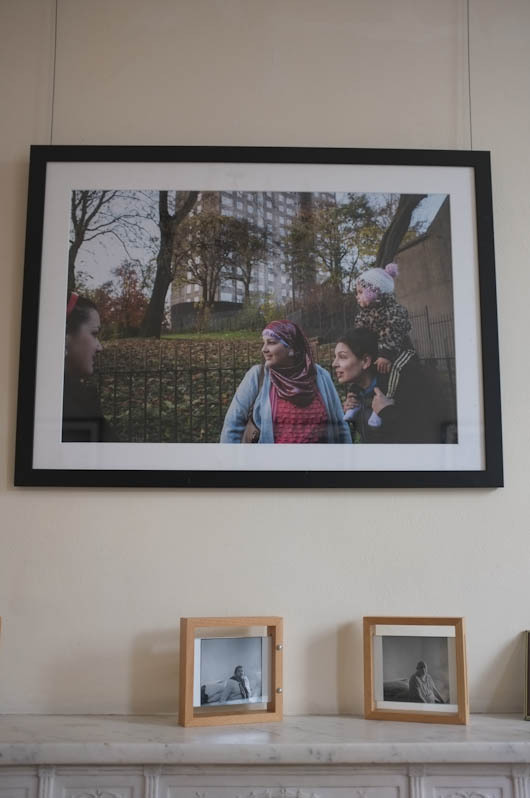 Also shown was work by talented young Roma photographer and filmmaker Artur Conka, as well as family photos and images produced during participatory projects. 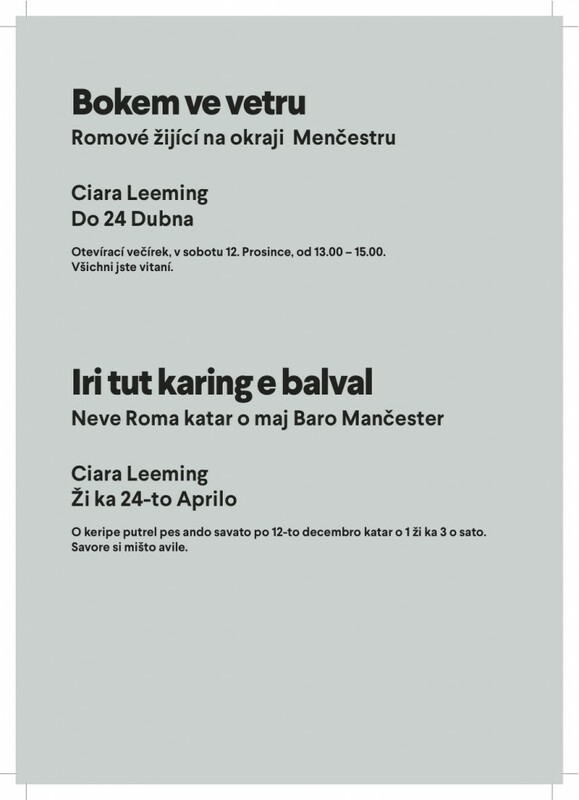 The show – which ends this weekend – also included some very interesting archive materials, including receipts for Romani slaves from late 19th century Romania. 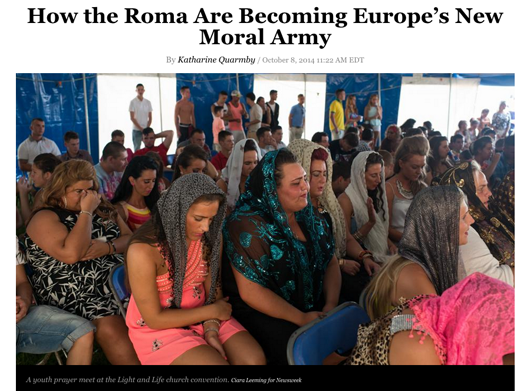 The kind of thing we see a lot from the US slave trade, but rarely from the dark years when Roma found themselves in a similar position in parts of Europe. The show looked great: thanks to all for their hard work putting it together and thanks for including my work. Two exhibitions at once.. this never happens. 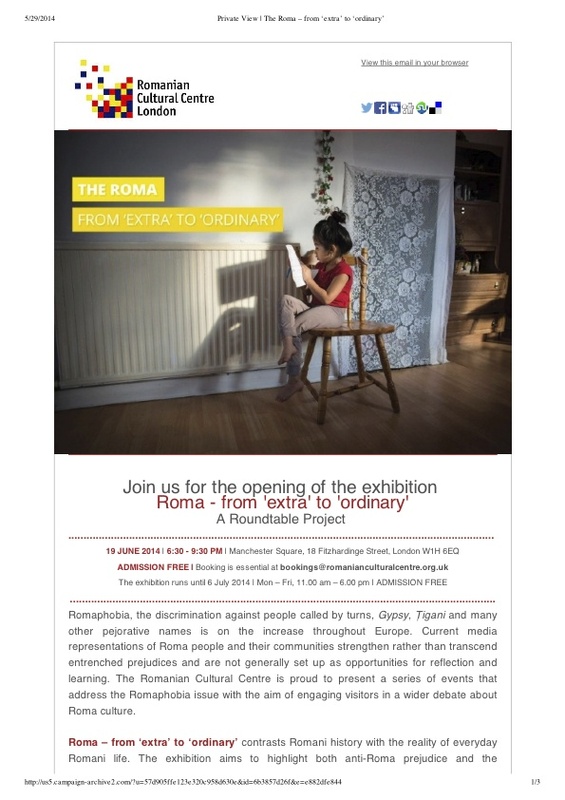 But next month a small selection of my Roma images will be on display at the Romanian Cultural Centre in London, in a show which highlights Romani culture and representation in the arts. 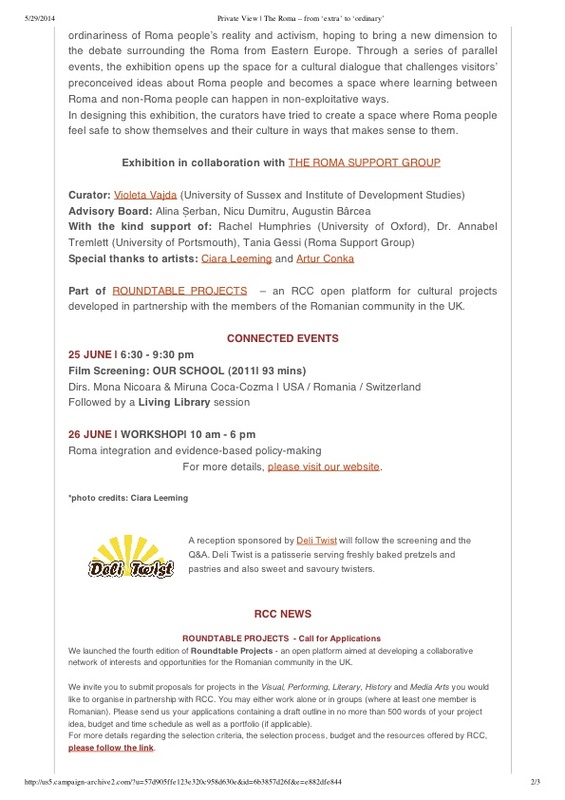 My friend Artur Conka, a Romani photographer and filmmaker who has featured in my Roma project, also has work in the exhibition. I unfortunately won’t make the opening as I’ll be away but I’ll see it before it ends. 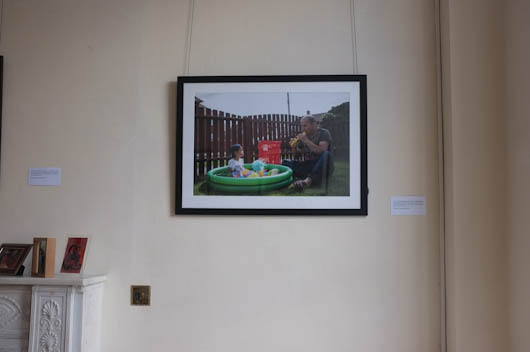 I just showed Latifa, Ramona’s little girl, the poster with her photo on and she was very pleased. The work on show is from my Ramona/Elvira project and also from my Side Gallery commission in Middlesbrough (see them both here) . 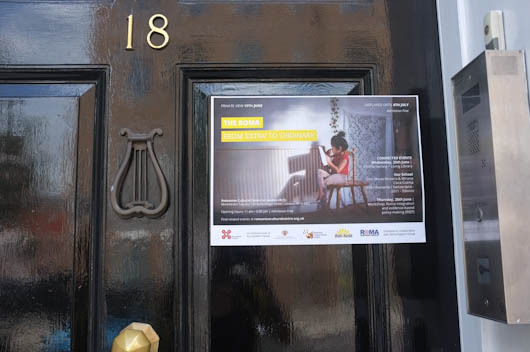 To find out more about the exhibition and associated events click here. My second exhibition is in Liverpool – more info over here.